I stare at the words sitting on a page of loose-leaf paper next to my computer. I remember scribbling them furiously as my editor was explaining how to approach my newest writing project. The author in me received her advice and encouragement. The mom in me pulled back a bit. A few hours later, I’m staring at my little girl, Rooney, 3. 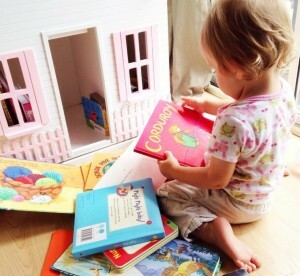 She’s trying desperately to read the book she has open on the floor of her bedroom. She tries to remember out loud which sounds go with what letters. The words stumble as they leave her lips. I listen. Her little voice is music to my ears. Watching her I’m reminded that she’s developing a voice that goes beyond simple sound production. She’s young, impressionable, and every day presents real opportunities for her to grow and build the voice she’ll use to make her unique impression on the world. Will that sweet voice learn to speak truth? Will it become strong and powerful? Will it ring, filled with the Spirit, or will it echo the noise of a self-centered culture? The world has a lot to tell our children about what they should do and who they should be. The world is wrong, and at times it sure is loud. Will she use her life and her voice to make a different kind of noise? Virtues training. Values education. Whatever you want to call it, developing a child’s character is no easy undertaking in today’s world. And no matter if we are mothers to girls, boys or both, the responsibility of guiding and directing them can feel like both a great honor and a heavy burden. 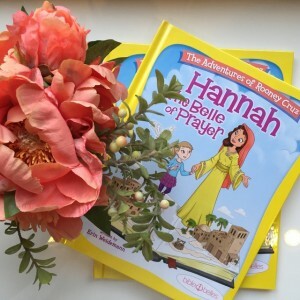 This is why we created Bible Belles: to give parents the tools we need to guide character development by highlighting heroic women of scripture: women whose values inspired their voices. We wanted to celebrate the women whose inner beauty, whose character, God used in a powerful way. They are real heroes. Role models. They are women who made a different kind of noise. We are so excited to be partnering with MOPS this summer to bring you a five-week reading program that allows families to gather and grow together around the theme of prayer. Over the next several weeks, our prayer is that families would discover the true value of building connection through open and honest communication. Prayer, the revealing of truth from deep within our hearts, is the first step in helping our children discover and use their unique voices. Whether they are addressing a group of many or an audience of One, they will speak their truth. And we can show them how. 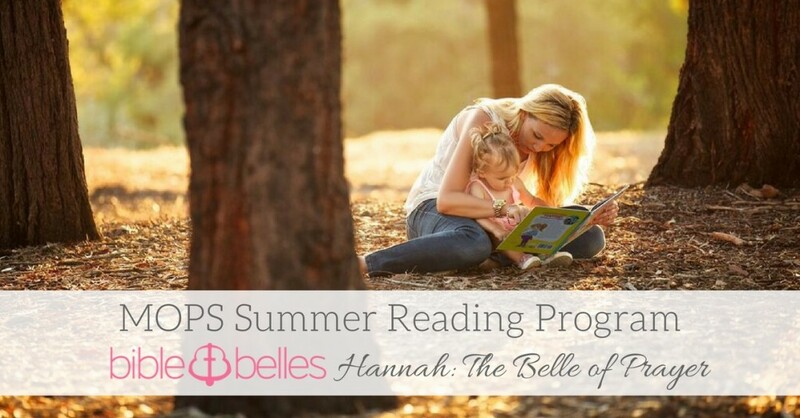 To participate in the MOPS Summer Reading Program, head to www.biblebelles.com/MOPS to get started. Receive 10% off your order with coupon code: MOPS. Sewing the seeds of prayer, patience, bravery, loyalty and leadership will reap an abundant harvest for years to come. And, if I’ve learned anything during my time as a mother thus far, I’ve come to realize that it’s not about simply teaching our children to trust the voice inside. It’s about building in them voices that are worthy of trust. It is in our homes, on our laps, at our kitchen tables, and over these early years of development that the battle for their character will be fought. And it is on our watch, and with our own voices raised, that this battle will be won. 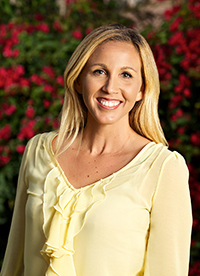 Erin Weidemann is a teacher turned professional author and speaker. She lives in San Diego, California with her husband, Brent, and their daughter, Rooney. Erin is the co-founder and CEO (Chief Encouragement Officer) of Bible Belles and host of the Heroes for Her podcast.